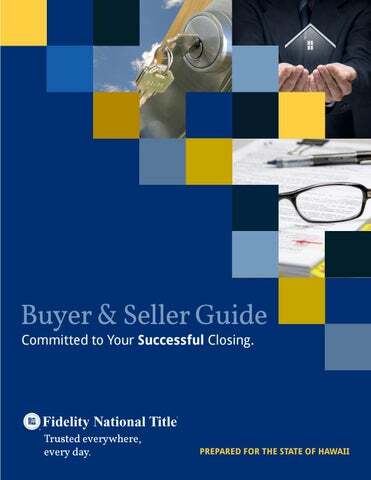 About This Guide At Fidelity National Title, we are committed to your successful transaction and to guiding you through the entire process. Your team at Fidelity National Title is proud to provide this resource to understanding title insurance and the escrow process. We are committed to offering you the guidance and support you need every step of the way. With over 160 years in the title industry, Fidelity National Title through our family of companies offers you the financial strength, experience and expertise needed to close your transactions with confidence and complete peace of mind. This guide has been prepared to give you an overview of the process involved during the purchase or sale of a property and also to explain the various roles that we will play in helping you as you move toward the close your transaction. We hope you find this information helpful in the process of a smooth and successful transaction. Please feel free to contact us at any time with your questions or need for additional information. Your Transaction Details: Subject Property Address: ______________________________________________________________________________________________ ______________________________________________________________________________________________ Escrow Number:_____________________________________________________________________________ Loan Number: ______________________________________________________________________________ Estimated Closing Date: ___________________________________________________________________ Inspection Date: ___________________________________________________________________________ Inspection Date: ___________________________________________________________________________ IMPORTANT REMINDER: ALWAYS CALL BEFORE YOU WIRE. Wire fraud is on the rise. Fidelity National Title urges our clients to ALWAYS CALL BEFORE YOU WIRE and never rely upon e-mail communication. Always follow these two simple steps: STEP 1: Obtain the phone number of your real estate broker, REALTORÂ® and your Fidelity National Title escrow officer as soon as an escrow is opened. STEP 2: Call the phone number you wrote down from STEP 1 above to speak directly with your Fidelity National Title escrow officer to confirm wire instructions PRIOR to wiring. If you receive alternative wiring instructions appearing to be from Fidelity National Title, be suspicious as we rarely change our wiring instructions. Wire instructions will never be requested or accepted via email. 21 Reasons for Title Insurance Buying Property is a Numbers Business 1. A fire destroys only the house and improvements. The ground is left. A defective title may take away not only the house, but also the land on which it stands. Title insurance protects you (as specified in the policy) against such loss. may be void or voidable on account of some defect in the proceeding. A deed or mortgage may have been made by a person considered incompetent. ready to sell or obtain a loan. technicalities when passing your title on to someone else. covered losses. signed while the grantor was in bankruptcy. 17. Each title insurance policy we write is paid up, in full, by the property. 18. There may be a defect in the recording of a document upon which your title is dependent. 20. Many lawyers, in giving an opinion on a title, protect their clients as well as themselves, by procuring title insurance. 21. Over the last 24 years, claims have risen dramatically. and recover the property of an interest therein. We hope you never have a title claim Americans have the future in mind when they buy a house, and they purchase homeowner’s insurance to help protect that future. But with homeownership comes the need to protect the property against the past, as well as the future. Title insurance protects a policy holder against challenges to rightful ownership of real property and challenges that arise from circumstances of past ownership. Each successive owner brings the possibility of title challenges to the property. When you purchase real property, rely on Fidelity National Title to protect your interests. You’ll be insured by a company backed by a long history of successful title operations. Rely on Fidelity National Title to Protect Your Investment Every owner, purchaser, and beneficiary, whether by a deed or contract, should have an insured title. The entire investment depends upon the quality of title. If you are buying real estate, you are paying for a good title and you should see that you have one. If either fire insurance or title insurance is omitted, your security is not complete. This information is presented for your reference only and is deemed reliable but is not guaranteed. 11. 12. 13. 14. 15. 16. 17. 18. 19. 20. 21. 22. 23. 24. 25. 26. 27. 28. 29. 30. 31. 32. 33. 34. 35. 36. 37. 38. 39. 40. 41. This chart is intended for comparison purposes only and is not a full explanation of policy coverage. Policy coverages are subject to the terms, exclusions, exceptions and deductibles show in the policy. Subject to deductible and maximum liability, which is less than the policy amount. Revised and approved 02/14. As part of the process to sell, purchase or refinance a property, you may be requested to complete a Statement of Information to assist your team at Fidelity National Title in the process of researching and clearing the title to the property. A Statement of Information requests information about you and, if applicable, your spouse or partner such as past addresses, employment and other identifying information to assist us in that process. Title & Tenancy in the State of Hawaii TENANCY IN SEVERALTY Example: Property owned by John Doe One person owns property as sole ownership in severalty. Only he/she alone can use, mortgage, or dispose of the property. Upon John’s death, his interest passes to his heirs or devisees through probate proceedings. Corporations hold title to property in severalty. JOINT TENANCY Example: Property owned by Jessica Lee (1/3), Thomas Smith (1/3), and Angela Hart (1/3) This tenancy may exist between two or more persons. Each has an equal undivided interest in the property with rights of survivorship. A joint tenant may not will his/her interest and upon the death of a joint tenant, his/her interest passes to the other joint tenants. However, a joint tenant may sell his/her interest or partition the property, thereby converting his/her interest to an interest held as a tenant in common. If a tenancy in common is created, this does not disturb the other owners, who still hold their interests as joint tenants amongst themselves. Property under this tenancy may be attached by a lien for debts or obligations. Upon divorce/ annulment/termination, a joint tenancy remains intact as to property held by a husband and wife, or as partners in a civil union, as joint tenants. HOMEOWNER’S EXEMPTION Go to https://www.realpropertyhonolulu.com/ exemptions/exemption-information/ to find out who may qualify for a homeowner’s exemption on their property taxes. The deadline for filing an exemption claim is September 30. TENANCY BY THE ENTIRETY Example: Property owned by Tim & Kathy Corpuz, husband and wife; or by John Smith & John Smith, Jr., as reciprocal beneficiaries; or by Jennifer Kim & Jane Doe, as partners in a civil union This tenancy may exist only between husband and wife, reciprocal beneficiaries, or partners in a civil union. One tenant by the entirety may not terminate the tenancy by a separate transfer of his/her interest in the property (though he/she may convey his/her interest to the other tenant) nor may he/she partition the property without the consent of the other tenant. The death of one tenant vests title solely in the other and, therefore, it is impossible to pass title by will. Property held under a tenancy by the entirety may not be attached as to the debts and obligations of only one tenant. Federal Tax Liens and Child Support Liens against Tim, but not Kathy, DO attach to the property. Upon divorce/annulment/termination, a tenancy by the entirety becomes a tenancy in common. TENANCY IN COMMON Example: Property owned by Aaron Daine (2/3 interest) & Anthony Temm (1/3 interest) This tenancy may exist among two or more persons, with no right of survivorship. Each person has an undivided interest in the property which he/she is free to convey or pass on to his/ her heirs or assigns, without the consent of the other owners. Tenants in common need not hold equal undivided interests (For Example: one tenant may hold a 2/3 undivided interest and the other may hold a 1/3 undivided interest). Property under this tenancy may be attached by a lien for debts or obligations. This information is presented for informational purposes only and is deemed reliable but is not guaranteed. Individuals married to each other, Reciprocal Beneficiaries registered under HRS Chapter 572C2, and effective Jan 1, 2012, Civil Unions. Ownership can be divided into any number of interests, equal or unequal. Hawaii Law presumes that interests are equal if not specified. Single conveyance to Tenants creating equal and identical interests at the same time. Vesting must specify joint tenancy or law presumes a tenancy in common. Single conveyance to Tenants that must indicate consent, which can be indicated on deed. Each tenant has undivided possession of the entire property according to his share and subject to rights of Co-Tenant(s). Each Co-Tenant may transfer or mortgage his respective interest separately without consent of other Tenants. Lender or underwriter may require. The conveyance by one Tenant severs the joint tenancy and creates tenancy in common. This information is presented for informational purposes only and is deemed reliable but is not guaranteed. It is not our intention to provide any legal financial or business advice. For specific information, please consult a qualified advisor. Leasehold vs. Fee Simple LEASEHOLD PROPERTY DESCRIPTION An estate or interest in real property held under a rental agreement by which the owner gives another the right to occupy or use land for a period of time. FEE SIMPLE PROPERTY DESCRIPTION: A fee simple interest is the most absolute interest one can have in the land, limited only by zoning laws, deed or subdivision restrictions or covenants. •	The Lease is both a contract and •	The duration of ownership of property conveyance whereby the owner, aka is indefinite and is freely transferable Lessor, conveys or lets the land to the and inheritable. Lessee for a specified period of time in consideration for a return of rent or other periodic compensation. •	Both the interest of the Lessor and Lessee may be transferred and conveyed. •	Lessee purchases improvements or structures to property but not the land. •	Lessee is not the owner of land beneath improvement, but is purchasing the right to occupy and use the land and must pay rent on it. •	When the lease term expires, lessee returns land to owner. There are several acceptable forms of identification which may be used during the escrow process including: • A current driver’s license • Passport • State of Hawaii Department of Motor Vehicles ID card One of these forms of identification must be presented at the signing of escrow in order for the signature to be notarized. *This list is an example only of typical closing costs and may vary based on negotiations or customary area practice. Hawaii “Good Funds” Requirements Important Considerations In Preparation of Your Closing Escrow companies in Hawaii are prohibited from disbursing funds deposited into escrow “until final settlement of the item has been received by the financial institution to which the item has been submitted for collection.” HRS § 449-16. 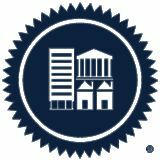 The Hawaii Association of Realtors® standard form purchase contract provides that closing occurs and proceeds are to be disbursed to the seller when documents are recorded at the State Bureau of Conveyances. Purchase Contract § C-5. This means that the method by which a buyer makes his or her initial deposit, or balance due monies may affect the timing of “closing”. Escrow must have confirmation that all funds necessary to close, including buyer’s additional monies and lender’s funds, before escrow allows a transaction to record. The following are the rules typically applied in setting up recordings. •	A cashier’s check or certified check payable through a Bank located in Hawaii usually clears within 1 to 3 business days after deposit into escrow. •	A personal check, corporate check, teller’s check, cashier’s check, or any other type of check drawn on a mainland financial institution may take up to six business days after deposit into escrow to clear. •	A personal check drawn on a Bank located in Hawaii usually clears three business days after deposit into escrow. •	Wire transfers are immediately disbursable upon confirmation of receipt. •	All funds received must be in U.S. Dollars. If wiring international funds which will be converted into U.S. dollars, the amount may vary and fees may incur due to currency exchange rates. It is strongly suggested that you check with your bank prior to sending international funds. Any amount owed resulting from the conversion rate or fees will be the responsibility of the sender. The Bureau rules require that signed conveyance documents are delivered to the Bureau no later than 8:00 a.m. the day before recording. The Federal Reserve Bank system closes at 11:00 a.m. This means that escrow must receive confirmation of “good funds” from lenders and buyers no later than 11:00 a.m. two days before recording in order to allow the closing to proceed. TWO DAYS BEFORE RECORDING u Documents to title to review for insurability and recordability u Remainder of Buyer’s funds must be received (Cashier’s check from the 12th district or wired funds) u Lender’s funds must be received by 11:00 a.m.
u Documents to Bureau by 8:30 a.m.
u Documents record at 8:01 a.m.
About The Loan Process STEP 1: Application Your loan process should go smoothly if you complete your loan application properly and provide all necessary documentation to your loan consultant at the time of application. STEP 2: Ordering Documentation: Your loan consultant will order the necessary documentation for the loan as soon as it is received. Any verifications will be mailed, and the credit report and appraisal will be ordered. You will also receive a Good Faith Estimate of your costs and details of your loan. STEP 3: Awaiting Documentation: Within approximately two weeks, all necessary documents should be received from your loan consultant. Each item is reviewed carefully in case additional items may be needed from you to resolve any questions or problems. STEP 4: Loan Submission: Submitting your loan is a critical part of the process. All of the necessary documentation will be sent to the lender, along with your credit report and appraisal. STEP 5: Loan Approval: Loan approval may be obtained in stages. Usually within one to three days, your loan consultant should have pre-approval from the lender. If the loan requires mortgage insurance, or if an investor needs to review the file, final approval could take additional time. You do not have final loan approval until ALL of the necessary parties have underwritten the loan. STEP 6: Lender Preparation of Documents: As soon as the loan is approved and all requirements of the lender have been met, the loan documents will be prepared. These documents will be sent to the escrow officer, and you will be asked to sign the documents. Your lender may require an impound account for tax installment payments, depending on the type of loan. STEP 7: Funding: Once you have signed the documents and they have been returned to the lender, the lender will review them and make sure that all conditions have been met and all of the documents have been signed correctly. When this is completed, they will “fund” your loan. (“Fund” means that the lender will give the title company the money by check or wire.) STEP 8: Recordation: When the loan has been funded, the title company will record the mortgage with the county in which the property is located (usually within 2 days). Upon receipt of confirmation of the deed being recorded, title or escrow will then disburse monies to the appropriate parties. At this time, in most cases, your loan is considered complete. What is a “Payoff”? A loan payoff is an extremely important service provided by title companies to facilitate the handling of money in the closing of a real estate transaction. It is the receipt of funds from the buyer and the payment of the obligations of the seller (if any) in conjunction with a real estate transaction. The payoff function is performed by Fidelity National Title as part of the escrow process. Commonly Used Payoff Terms: Prefigures: Estimated payoff figures calculated and given prior to closing upon request. These figures are only valid through the date given and are based on the information provided at the time. Good Funds: Fidelity National Title must be in receipt of “good funds” prior to disbursing on a payoff. Types of good funds include: a) funds wired into Fidelity National Title; b) a cashier’s, teller’s or certified check (provide next day availability after deposit to comply with AB51 2); c) other local checks (provide availability of funds two days after deposit), and d) out of area checks (provide availability of funds five days after deposit). Demands: Demands must include specific payoff information concerning the particular property and must be signed. It is the responsibility of the Escrow Officer to order and provide all necessary demands, including any updates or changes on a timely basis. Taxes: Outstanding property taxes can be paid out of the payoff proceeds. Refunds: Any overpayment of demands will be refunded to the escrow upon receipt from the lender. Refunds typically take two to six weeks to process. Shortages: Your Escrow Officer will contact you if there is a shortage of the necessary funds to cover the outstanding obligations. The shortages must be received prior to payoff. Disbursement Checks: Checks are delivered locally to lending institutions by a contracted messenger service. Checks to individuals and to out of area lenders are typically sent via an overnight delivery company. Wire Transfers: Funds can be wired into and out of Fidelity National Title offices with our bank. Understanding Taxes in Escrow, continued. The escrow holder will provide a state withholding form to the seller to help determine if any of the exemptions apply. The withholding guidelines can seem quite complex, but your escrow officer has forms and educational materials to help your clients. Further information is also available through your local Franchise Tax Board or from the American Land Title Association (ALTA). Change of Ownership Filings When property changes hands, local government agencies require notice of change of ownership. At the local level, this would be any county office that assesses or collects taxes. Reporting a change in the ownership of the property allows the local jurisdiction to assess the tax liability for each property as the title is transferred from seller to buyer. The reporting documents vary from state to state, but all states require at minimum the names of the seller and buyer, assessor’s parcel number or other property identifying number, the property location and tax address. Also required is the total purchase price, terms of sale and signature of the new owner. The reporting document is recorded along with documents evidencing a change in ownership. Penalties or fines may be assessed from the governing body for failure to file the document as required by state or local laws. The escrow officer will generally assist the client in completing the document and ensuring that it reaches the Recorder’s Office along with the other documents pertinent to the change of ownership. Some situations which appear to be a change of ownership are exempt from the filing of this type of document, including corrections to the record and status changes such as a change in vesting. See tax calendar example next page. Homeowners pay property taxes to their appropriate assessment, collection or franchise tax department in each county. A change in ownership or the completion of new construction could result in a change in the assessed value of the property and may result in the issuance of a supplemental property tax bill. Taxes are due on predesignated dates and become delinquent when not paid. Penalties are assessed for delinquent taxes. The yearly “tax calendar” varies by state. In addition to standard property taxes, many jurisdictions also contain special assessment districts, which may have been formed as a means of financing infrastructure. Bonds may have been sold to finance the infrastructure and the ultimate property owner continues to make payments on the principal and interest on the bond. The bond issues vary in size and term. Other special city and county districts may be assessed for a variety of purposes, including street lights and traffic signals, street maintenance, certain educational purposes, etc. Does Seller Qualify for an exception under Hawaii or Federal law (e.g. 1031 exchange)? Is Seller selling the property at a loss? Does Seller want to apply for an early refund? Was property used as a principal residence for the last 12 months and is sales price $300,000 or less? This information is presented for informational purposes only. It is not our intention to provide any legal, financial or business advice. For specific information, please consult a qualified advisor. *FNT Internal Update July, 2018for informational purposes only. It is not our intention to provide any legal, financial or business advice. For specific inforThis information is presented mation, please consult a qualified advisor. The Hawaii Real Property Tax Act (HARPTA) requires the buyer who purchases real property from a non-resident of Hawaii to withhold 7.25%+ of the amount realized (generally the sales price) and remit it to the Department of Taxation within 20 days of closing unless an exemption applies. The 7.25% withholding represents an estimate of the Hawaii capital gains tax that may be owed by the non-resident when selling real property in Hawaii. The standard Hawaii Association of Realtors Purchase Contract provides that escrow is to withhold and remit the HARPTA amount to the Department of Taxation unless the seller provides the buyer with a certificate of exemption or waiver from HARPTA. It is the seller’s burden to prove that an exemption / waiver applies and for the buyer to acknowledge and approve the seller’s exemption / waiver prior to closing. Under Hawaii law, it is the buyer’s responsibility to determine if the seller is a non-resident of Hawaii and that the proper withholding amount is remitted to the Department of Taxation on a timely basis. FIRPTA FOREIGN INVESTMENT IN REAL PROPERTY TAX ACT Is Seller a US Citizen, Resident or Entity? Is Seller recognizing a gain of less than 10% (ex., selling at a loss)? Foreign Investment in Real Property Tax Act of 1980 (FIRPTA) The Internal Revenue Code (IRC) Section 1445 requires the buyer who purchases real property from a foreign seller to withhold 10% or 15% of the sales price and remit the amount along with the required documents to the IRS unless certain exceptions apply. The applicable percentage will depend upon the sales price and whether the buyer or buyer’s family member intends to use the real property as a residence. Does Buyer have definite plans to use the property as a residence*? YES Consult with a CPA or tax professional regarding Form 8288-B and IRS withholding certificate. Additional documents will be required by escrow. YES 10% Withholding Buyer to complete residence declaration. Buyer to complete residence declaration. Closing date is generally the date of recordation and disbursement of funds. The Act includes other significant changes to FIRPTA and other tax laws which are not addressed in this material. Sales price can be exactly $1,000,000.00 but may not exceed this amount. The exchange period begins with the transfer of the first property providing the investor 45 days to identify, and a total of 180 days to close, on “like-kind” replacement property. The exchange is completed when the qualified intermediary is assigned into the Purchase Contract, utilizes the proceeds received to acquire the replacement property, and instructs the closer to transfer ownership to the exchanger via direct deeding. What are the Exchange Requirements? • Purchase Equal or Greater Value • Reinvest all Net Equity • Equal or greater debt. (Exception: A reduction in debt can be offset with additional cash, however a reduction in equity cannot be offset by increasing debt.) Exchanges must be completed within strict time limits with absolutely no extensions. The Exchanger has 45 days from the date the relinquished property closes to identify potential replacement properties. This involves a written notification to the Qualified Intermediary listing the addresses or legal descriptions of the potential replacement properties. The purchase of the replacement property must be completed within 180 days after of the close of the relinquished property. After the 45 days has passed, the Exchanger may not change their Property Identification list and must purchase one of the listed replacement properties or the exchange fails! To avoid the payment of capital gain taxes the Exchanger should follow three general rules: (a) purchase a replacement property that is the same or greater value as the relinquished property, (b) reinvest all of the exchange equity into the replacement property, and (c) obtain the same or greater debt on the replacement property as on the relinquished property. The Exchanger can offset the amount of debt obtained on the replacement property by putting the equivalent amount of additional cash into the exchange. In the case of real property exchanges, the Exchanger must sell property that is held for income or investment purposes and acquire replacement property that will be held for income or investment purposes. This is the like-kind property test. I.R.C Section 1031 does not apply to exchanges of stock in trade, inventory, property held for sale, stocks, bonds, notes, securities, evidences of indebtedness, certificates of trust or beneficial interests or interests in a partnership. The following is a short glossary of commonly used terms during escrow transactions. For a detailed explanation of the meaning of these terms, please consult an attorney or real estate professional. For additional terms and definitions, please visit us online at www.FNTIC.com. Adjustable Rate Mortgage (ARM): A mortgage in which the interest rate is adjusted periodically in accordance with a market indicator, to more closely coincide with the current rates. Also sometimes known as renegotiable rate mortgage, the variable rate mortgage, or the graduated rate mortgage. Amendments: A change to any part of an agreement without changing the general essence of the original. Amortization: Reduction of the principal of a debt in regular, periodic installments. Annual Percentage Rate (APR): An interest rate reflecting the cost of a mortgage as a yearly rate. This rate is likely to be higher than the stated note rate or advertised rate on the mortgage, because it takes into account point and other credit cost. The APR allows home buyers to compare different types of mortgages based on the annual cost for each loan. Assumption of Mortgage: An obligation undertaken by a new purchaser of land to be liable for payment of an existing note secured by a mortgage. Beneficiary: The recipient of benefits most often from a deed of trust. This is usually the lender. Buyer’s Agent: The agent or broker serving as a representative of the buyer in order to identify a property and negotiate on their behalf for the purchase. Caps: Consumer safeguards that limit the amount the interest rate on an adjustable rate mortgage can change at each adjustment or over the life of the loan. Conditions, Covenants & Restrictions (CC&R’s): A document that controls the use, requirements and restrictions of a property. Certificate of Reasonable Value (CRV): An appraisal issued by the Veterans Administration showing the property’s current market value. Closing (also called “settlement”): The completion of a real estate transfer, where the title passes from seller to buyer, or a mortgage lien is given to secure debt. Comparable Sales: Also referred to as “comps”. Sales of other properties that have characteristics similar to the subject property. Generally used for the preparation of an appraisal. Condominium: A statutory form of real estate development of separately- owned units and jointly-owned common elements in a multi-unit project. Conventional Mortgage: A mortgage securing a loan made by investors without governmental underwriting, i.e., a loan which is not FHA insured or VA guaranteed. Deed: Written instrument which, when properly executed and delivered, conveys title. Discount Point: An additional charge made by a lender at the time a loan is made. Points are measured as a percent of the loan, with each point equal to one percent. Earnest Money Deposit (EMD): A deposit of funds made by a buyer of real estate as evidence of good faith. Easement: A non-possessory right to use all or part of the land owned by another for a specific purpose. Equity: The difference between the fair market value and current indebtedness, also referred to as the owner’s interest. The value an owner has in real estate over and above the obligation against the property. Federal Housing Administration Loan (FHA Loan): A loan insured by the Federal Housing Administration, open to all qualified home purchasers. Farmers Home Administration Loan (FMHA Loan): A loan insured by the federal government similar to FHA loan, but usually used for residential properties in rural areas. Federal National Mortgage Association (FNMA): Also known as “Fannie Mae.” A U.S. government sponsored corporation dealing in the purchase of first mortgages for the secondary market. Fee Simple Deed: The absolute ownership of a parcel of land. The highest degree of ownership that a person can have in real estate, which gives the owner unqualified ownership and full power of disposition. Joint Tenancy: An equal undivided ownership of property by two or more persons. Upon death of any owner, the survivors take the decedent’s interest in the property. Legal Description: The description of land based on government surveys that identifies exact boundaries of an entire parcel of land and recognized by law. Glossary, continued. Lien: A claim upon a piece of property for the payment or Real Estate Agent: An individual licensed by the state to represent parties in the transfer of property. satisfaction of a debt or obligation. Listing Agent: The agent or broker in agreement with the property Realtor®: A real estate broker or an associate holding active owner to sell the subject property and list the property in the membership in a local real estate board affiliated with the National Association of Realtors®. Every Realtor is a Real Estate Multiple Listing Service. Estate Agent necessarily maintains the Loan-To-Value Ratio: The relationship between the amount of Agent but not every Real ® designation of Realtor . the mortgage loan and the appraised value of the property expressed as a percentage. Recording: The filing of documents for real property with the County Mortgage: A conditioned pledge of property to a creditor as Recorder’s office that becomes public record. Subdivision: A tract of land surveyed and divided into lots for security for the payment of a debt. Multiple Listing Service: The database of properties listed for purposes of sale. sale by Realtors® who are members of their local Association of Tenancy in Common: An undivided ownership in real estate by two or more persons, without right of Realtors®. Negative Amortization: Occurs when your monthly payments survivorship – interests need not be equal. are not large enough to pay all the interest due on the loan. This unpaid interest is added to the unpaid balance of the loan. The danger of negative amortization is that the home buyer ends up owing more than the original amount of the loan. Trust Account: An account separate and apart and physically segregated from the broker’s own, in which the broker is required by law to deposit all funds collected for clients. Trustee: The neutral third party in the deed of trust with limited Personal Property: Any property which is not real property, e.g., powers. When the loan is paid in full, the property is reconveyed by the trustee back to the person or persons legally entitled money, savings accounts, appliances, cars, boats, etc. Points (also called “commission or discount” points”): Each to the land, or if delinquent, the property will be conveyed point is equal to 1% of the loan amount (e.g., two points on a pursuant to non judicial ­foreclosure proceedings, to the highest bidder in a public sale. $100,000 mortgage would cost $2000). Power of Attorney: A written instrument in which a principal Trustor: The borrower, owner and guarantor of the property conveyed in a deed of trust. grants authority to a specified agent. Principal, Interest, Taxes and Insurance (PITI): Also called Veterans Administration Loan (VA Loan): Housing loan to monthly housing expense. This is the combined Principal, veterans by banks, savings and loans, or other lenders that are guaranteed by the Veterans Administration, enabling veterans Interest, Taxes and Insurance for a total payment. to buy a residence with little or no down payment. Private Mortgage Insurance (PMI): In the event that a buyer does not have a 20% down payment, lenders will allow a Warranty: In a broad sense, an agreement or undertaking by smaller down payment—as low as 3% in some cases. With the a seller to be responsible for present or future losses of the smaller down payment loans, however, borrowers are usually purchaser occasioned by deficiency or defect in the quality, required to carry private mortgage insurance. Private mortgage condition or quantity of the thing sold. In a stricter sense, the insurance will usually require an initial premium payment and provision or provisions in a deed, lease or other instrument may require an additional monthly fee, depending on the loan’s conveying or transferring an estate or interest in real estate under which the seller becomes liable to the purchaser for structure. defect in or encumbrances on the title. Purchase Agreement: The contract between the Buyer and Seller for the purchase of a designated property. Quitclaim Deed: A deed that serves as a release with the purpose of transferring any title, interest or claim held by the grantor. The Quitclaim Deed does not contain any warranty of valid interest or title by the grantor.